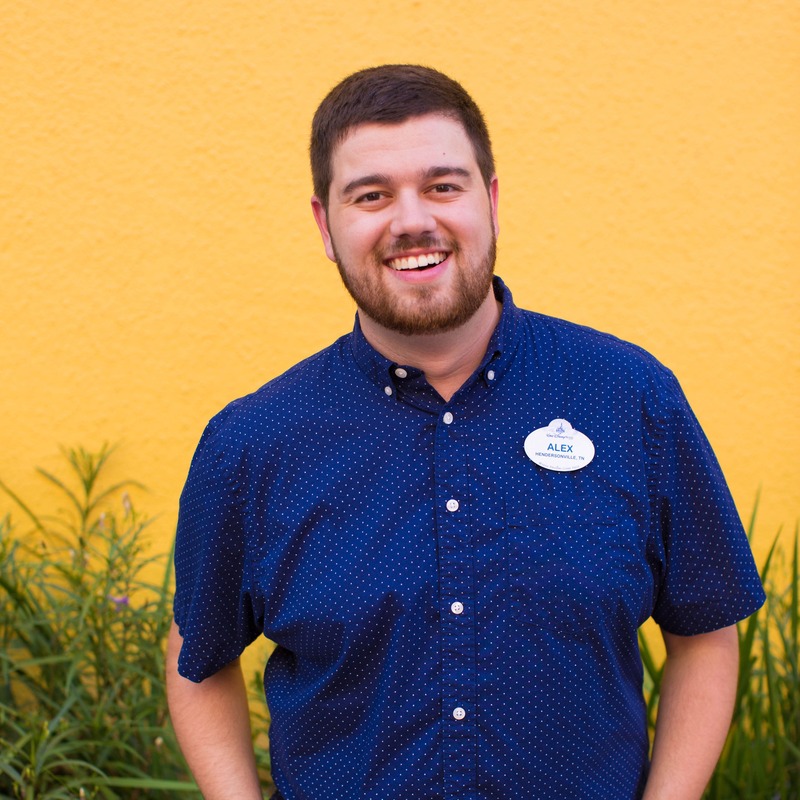 We’re having an Incredible Summer at Walt Disney World Resort! 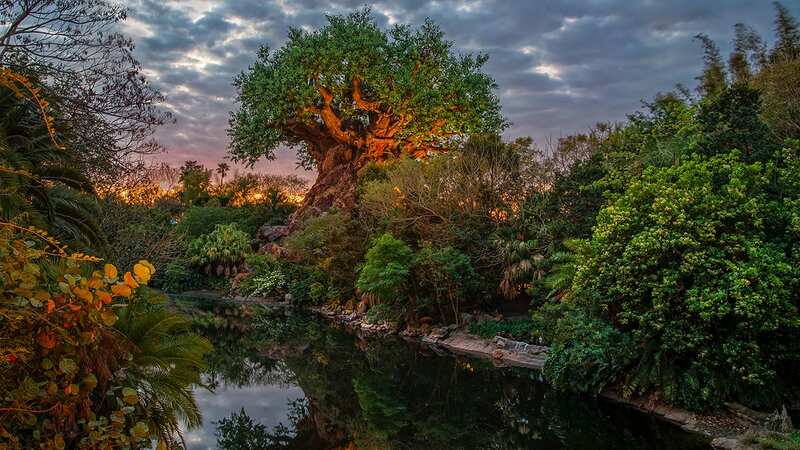 Thanks to “Incredibles 2,” the world has once again embraced Supers, so in honor of those heroes, Magic Kingdom Park is hosting the first ever Incredible Tomorrowland Expo. This mega fan celebration takes place daily, all around Rockettower Plaza at the center of Tomorrowland, with custom décor, special background music, heroic character appearances and loads of super fun entertainment. 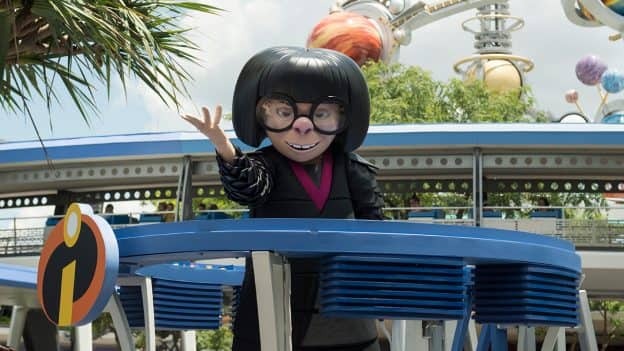 You may spot noted supersuit designer Edna Mode, riding atop a stylish SuperMobile and doling out compliments and fashion advice to everyone she encounters. Members of the Super Super Fan Club are also out and about during the Expo, dressed in cosplay as their favorite new aspiring heroes, Brick, Reflux, Krushauer, Voyd and Screech. Catch them during the Pose-Off Procession at the main stage or wandering the Expo sharing their fandom with fellow attendees. And you can strike a pose of your own at one of the Moments in Super History photo opportunities, commemorating iconic events such as the Incredibles’ battle with the OmniDroid or saving Metroville from the Underminer’s tunneler. Each day at noon, Jack-Jack Diaper Dash gives our youngest guests a chance to show off their super speed, zipping (or crawling) to their parental sidekicks as hilarity ensues. Parents can sign up their little heroes starting at 10:30 a.m. in front of Rockettower Plaza Stage. Everything comes together with “Super Party Time,” a continuous variety show of super-powered entertainment, daily from 2 p.m. – 7 p.m. Our Party Host, DJ and Super Party Sidekicks engage Expo guests at Rockettower Plaza Stage in fun and games, with special appearances by Mr. and Mrs. Incredible and Frozone. And throughout “Super Party Time,” you’ll be introduced to up-and-coming Supers like ElectroGirl and Gyroman, showing off their skills on stage. Disney•Pixar’s “Incredibles 2” is in theaters now, and you can take part in all the fun of the Incredible Tomorrowland Expo now through September 3 at Magic Kingdom Park.